Still available in Phase I! The developer reserves the right to make changes, modifications or substitutions to the building design, specifications, and floor plans should they be necessary. 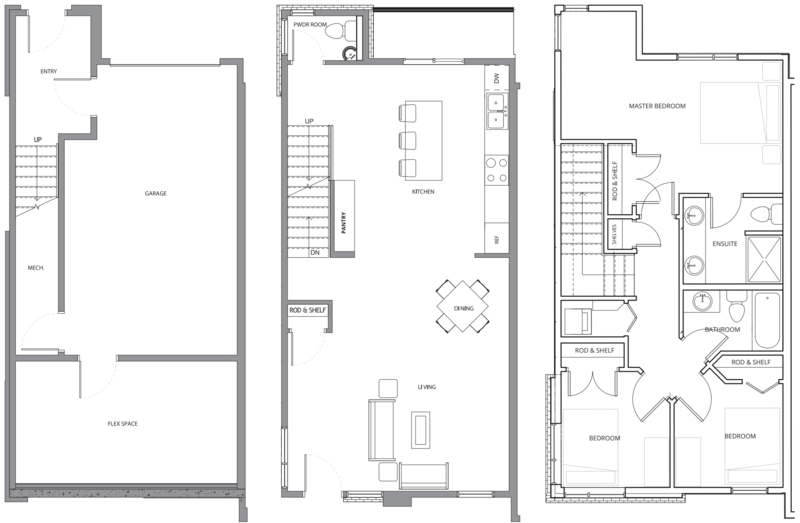 Final floor plans may be a mirror image of the floor plans shown. Square footage and room sizes are based on the preliminary survey measurements. Sizes are approximate and actual square footage may vary from the final survey and architectural drawings. E.&O.E.